Plus, do drones and unmanned capabilities make conflict more likely? Friday defense links. Japan’s Defense Ministry is studying a plan for shooting down drones that invade its airspace, according to a report by NHK World. The report comes days after Tokyo reported that an unmanned aerial vehicle (UAV) flew near the disputed Senkaku/Diaoyu islands. 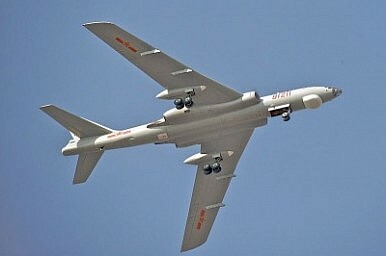 China later confirmed the UAV belonged to its military. Ria Novosti reports that a second missile cruiser may be joining Russia’s newly established Mediterranean Fleet. The ship would be the Varyag missile cruiser, which currently serves as the flagship of Russia’s Pacific Fleet. The U.S. Air Force now sees speed as key to beating Anti-Access/Area Denial (A2/AD) strategies, according to The Air Force Times. Following India’s Agni-V missile test last week, the U.S. is concerned that an arms race might be developing between China and India. The Hindustan Times has the story. The Dutch Defense Ministry announced earlier this week that it had selected the F-35 fighter jets to replace its aging fleet of F-16s. However, it will only purchase 37 instead of the initially planned 85 aircraft. U.S. Senator John McCain (R-AZ) still thinks the Joint Strike Fighter program is “one of the great national scandals,” according to DOD Buzz. It is only a matter of time before drones are put to use in Asia's maritime conflicts. America’s Air-Sea Battle Plan in Korea‘The End of History’: 25 Years OnNew Chinese Destroyers May be Able to Undermine F-35's StealthAustralia to Purchase 58 More F-35 FightersF-35 Secrets in China's J-20?